This is an absolutely gorgeous item that would look beautiful in anyone's toy bag. This flogger features 60 falls of stunning midnight blue cow suede. The fall themselves are approximately 22" in length. 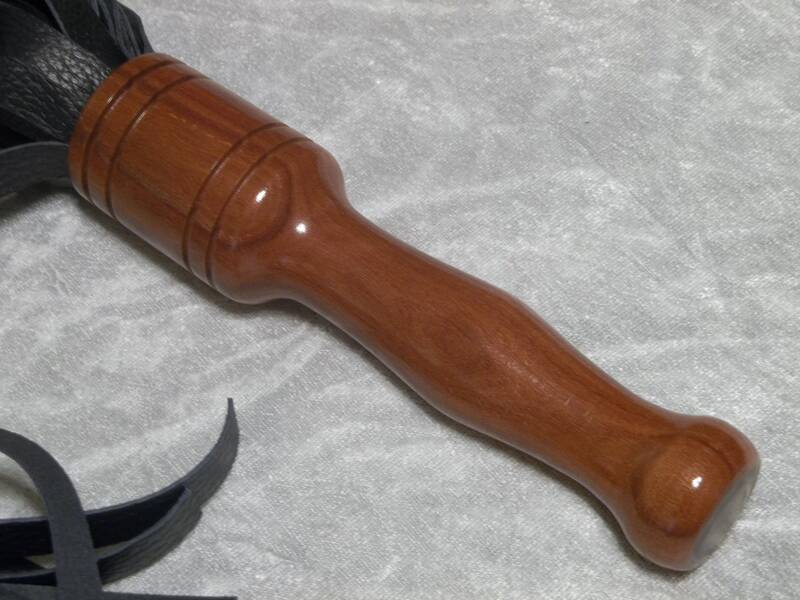 The Indian rosewood handle is stunning on this flogger! The handle itself is about 8" and the overall length of the item is about 30" from end to end. This item delivers a beautiful stingy, thud. HOWEVER, as with all items from my store, please play safely. These items can cause serious injury if used improperly.